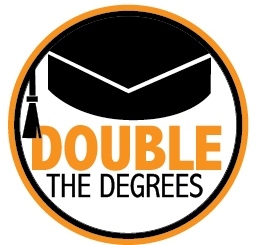 Charleston, W.Va. – The West Virginia Higher Education Policy Commission (Commission) and West Virginia Community and Technical College System (WVCTCS) today announced a shared statewide goal to “Double the Degrees” produced annually in West Virginia by the year 2025. The announcement comes on the heels of a record number of college degrees – more than 18,000 – awarded by West Virginia’s public colleges and universities in 2014. By increasing the number of high-quality certificates, associate degrees and bachelor degrees earned and awarded each year to 40,000, state higher education leaders say West Virginia will be more strongly positioned to meet projected economic and workforce demands. “West Virginia’s public two- and four-year higher education institutions conferred a record number of degrees last year, but we know we must build on this momentum to ensure West Virginians are prepared to succeed in the economy of today and tomorrow,” said Paul Hill, the Commission’s Chancellor. “By working hand-in-hand with West Virginia’s community and technical colleges, we know this goal is attainable – and we are committed to seeing more students pursuing and succeeding in postsecondary education,” Hill continued. Research shows that by 2020, more than half of jobs in West Virginia will require an associate degree or higher, but only 29.9 percent of West Virginians currently fall in that category. In addition, studies show college graduates receive higher wages than those with no degree, experience more stable employment, and are more likely to be civically engaged and contribute to their communities. The Commission and WVCTCS have been working to increase the number of students entering postsecondary education through a number of college access initiatives, including the College Foundation of West Virginia (www.cfwv.com), federally-funded West Virginia GEAR UP (Gaining Early Awareness and Readiness for Undergraduate Programs), and statewide financial aid outreach activities. At the same time, the systems have been working together to increase the number of students earning their degrees by strengthening the student credit transfer process, encouraging students to take at least 30 credit hours each year to graduate on time and, among other initiatives, improving developmental education to help more incoming students succeed.